There are a lot of Denver personal trainers who specialize in weight loss. I specialize in transformations, which means I even have training programs to gain weight. Too often people neglect those who have problems gaining weight, even though it’s just as big of a drawback being the skinny guy or gal as it is being one overweight. In fact, I’ve had clients come to me for transformations because they’re tired of the skinny shaming. Some are even accused of eating disorders, even though they eat as much, if not more than others. Proper nutrition is important for everyone, whether you want to gain weight, lose weight or just be healthier. It can help you shed fat, while building muscle at the same time. When you want to gain weight, you want muscle mass, not just extra pounds. You want quality protein to help build that muscle mass. Food like eggs, salmon, chicken breast and shrimp contain quality protein. Eggs and salmon also provide healthy fat, which is necessary. Try to consume approximately one gram of protein for every pound of body weight. The good news for lean guys and gals is that when you gain weight, most of it is in the form of muscle, rather than fat. It’s all about keeping your diet healthy while you’re packing on the muscle. Make sure you workout smart. Some people go gung-ho. 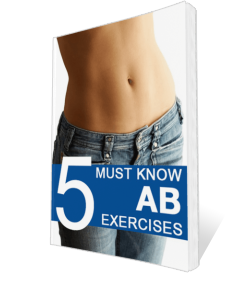 They workout day and night without resting in between in hopes of building muscle mass. In reality, they’re really impeding their muscle growth. Using strength training as an example, you’re creating micro-tears in the muscles that mend to make the muscle stronger and bigger, to prevent future injury. The heavier weights you lift, the more it increases your strength and builds muscle tissue. However, overtraining, working on strength building too often and too long, can result in a loss of muscle mass. A program created specifically for your needs can be created by a personal trainer that will help you gain muscle mass faster, while it reduces the potential for injury. Training to gain means getting adequate sleep to let the “magic” happen. When you sleep, the body goes into repair and recovery mode. You know that pressing weights and doing strength building causes tears in the muscle that need repairing to build. Not only is the right frequency and intensity of the workout important, so is adequate sleep so your muscles have a chance to heal while your body rests. It’s when the recovery phase takes place and the real muscle building begins. You don’t have to add a ton of calories to your diet to gain weight, but you do have to add some. It’s all about what you eat and the workout you do that makes the difference. It might mean adding a bowl of oatmeal with raisins or a couple of lean burgers. If you’ve never had to count calories before, since you’ve always been thin, you might have to start now. Counting calories to gain weight is just as important as counting them to lose weight. Don’t expect the transformation to be fast. Slow and steady means you’ll be building more muscle mass. Gaining too quickly could mean gaining more fat than muscle, which isn’t the ultimate goal. You need all types of exercise, but too much cardio can be counterproductive. Cardio burns calories from both muscle tissue and fat tissue, while strength building burns fat calories. You want to make sure you maintain muscle mass to gain weight.